St. Louis Kitchen and Bathroom Remodeling! We are passionate about our St. Louis home remodeling company and our industry! We LOVE what we do and it shows in every project we help to create in the St. Louis area! Our craftsmen are craftsmen! They take pride in their home remodeling work, creating every aspect of our projects as a fine piece of furniture. We are not the home remodeling company for the buy it cheap – replace it later philosophy. Our St. Louis home remodeling company’s belief is to beat the test of time and create something of value. We specialize in kitchen remodeling and bathroom remodeling in St. Louis. Locally owned and operated, in the St. Louis area, home and family is everything to us, here at Roeser Home Remodeling. It is a reflection of who we are and what’s important in our lives, because of that, we are drawn to people in the St. Louis area, who value their homes, take care of them and want a home remodeling project that will not need to be replaced or redone again in a few years. At Roeser Home Remodeling, we do not cut corners. We use top quality home remodeling products (not the most expensive, but top quality) and top quality local, St. Louis, home remodeling trade contractors. We have formed lasting home remodeling trade relationships in the St. Louis area and stay educated to keep up with the latest home remodeling codes and industry regulations. By staying informed it provides clients the best information available regarding the “real” cost of their St. Louis home remodeling projects. Therefore home remodeling projects are not delayed or have cost over-runs because of not being aware of a recent code change. If that were to happen, it is on us. When you hire Roeser Home Remodeling, you are hiring a home remodeling professional, the best in the St. Louis area; therefore, you can count on us for accurate home remodeling construction numbers. We do not intend to let you down. 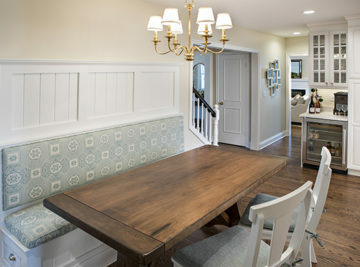 We protect our home remodeling reputation in St. Louis, by doing what we say and providing the absolute best in home remodeling service. 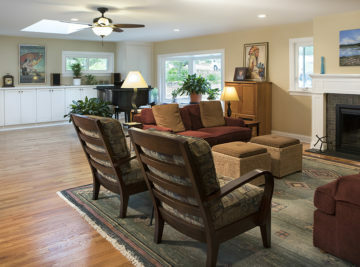 Our contracts are detailed, allowing clients to rest easy about their home remodeling decisions. Some in St. Louis might consider us to be a bit high, but that’s not at all true – we are accurate with our numbers from the very beginning of your home remodeling project. Many of our customers have called on us for help when they have been through an unpleasant experience with other home remodeling companies in St. Louis. Many have become our best clients and biggest home remodeling advocates! We feel we are doing right by our clients and for the home remodeling industry, here in St. Louis. Choose Roeser Home Remodeling for all of your kitchen remodeling and bathroom remodeling in St. Louis. We hope you will join us by allowing us to serve you and becoming part of our Roeser Home Remodeling Family in the St. Louis area. There is a reason the kitchen has always been referred to as the Heart of the Home. It is the central location for all family activities. 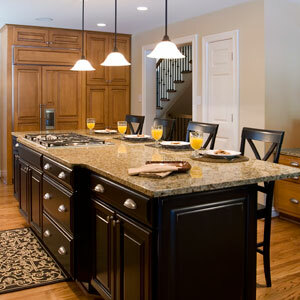 Roeser Home Remodeling specializes in kitchen remodeling in St. Louis. It has become so much more than just a place to prepare meals. It is where we entertain. It’s where we have all our important discussions. It’s where we plan our days, do our homework, read up on news and events, search the web and oh yeah…cook and have a meals! Each family has different requirements for the way they use their kitchens. Share your lives with us. We will design and build the perfect kitchen, meant just for you and your family! Bathrooms have come a long way in history. Today’s bathroom is everything from mornings of shared time with multiple family members trying to prepare for the day’s activities to tub time with toddlers to an Oasis of escape from the craziness of a busy day. They definitely have become a reflection of how life can be made easier for families and their needs. Tell us about your bathroom- do you need another one? Do you need an extended one for multiple family members to share? Do you need music or a television because it is the ONLY place you can find some privacy? Whatever your dreams-we can create a design for you and build an incredible bathroom that will carry you through many lifestyle changes. Ask us how…these homeowners did and they learned everything is possible with the Roeser Team! Master Suites are every adults escape from the outside world. They should be your own retreat. A place that fits the way you wind-down. The way you relax, the way you sleep, the way you dress and prepare for your day. Everyone lives differently and the rituals that you have to start and end your day are no different. Anything from reading in bed, to meditation; to a place to do daily stretches can and should be considered when planning your bedroom. Dressing must also be considered. Having your own closets as living partners or sharing that space for dressing can all be designed around your unique schedules and how you work that space. 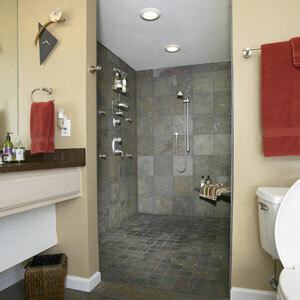 To complete the “Bedroom” area and make it a true “Master-Suite”, a private bathroom completes the design. In this area, it is also important to think about how you share that space. Understanding the flow of that shared space can determine what is most important to you and your partner when designing a stress-free space- which is what Master Suites are all about. Basement Remodels are really room additions without the roof. A basement renovation has all the elements an addition has. When done correctly, a basement addition can provide a separate space from everyday living and often provide a space for collections, entertainment, storage, or even a space for those large entertainment favorites—such as pool table, ping-pong table, or even darts. A means of egress is now a requirement for any type of basement renovation, Along with hard wired smoke /carbon detectors. Let us help you design a safe, but dynamite space for whatever your family’s needs and wants may be. The basement is a great place to start! At Roeser, we know that often times you love your neighbors and neighborhood but you may be outgrowing the home you live in. That’s why some families come to us wanting to expand on what they currently have with a beautiful addition to their home. The Roeser Team prides themselves in creating additions that look like original to the existing house and its structure. An ADD-ON or a POP –UP that looks like an add-on or pop up de-values your home and is an eye sore when done incorrectly. The Roeser Team is experts at creating the extra space needed, while providing an amazing addition to the curb appeal of your home. Let us help you with the creation of extra space in a design that will WOW you and a Build of craftsmanship that you’ll find pride in every day. 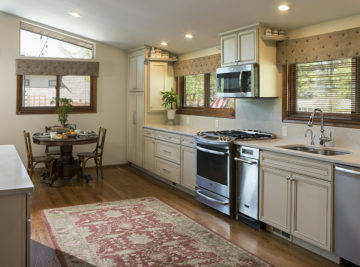 When you LOVE an area or a location, when you found a house or live in a house that has unique features that you LOVE, when your torn between moving or buying the not so perfect house, but all else is perfect about it- just isn’t working for the way you live….a whole house remodel is an option. The current trends of Open Floor Plans, Master Suites, Mudrooms, Garages, Closet Space can all be challenges with older, current housing stock, but not impossible. If you care about an area, the history of a house, or the integrity of a neighborhood- re designing a floor plan and remodeling the house to fit your needs can give you a unique home that is not cookie cutter to anyone else. Yet, you can incorporate the latest needs or trends of today’s homes. Our designs will blow you away, our craftsmanship is outstanding, and our processes will keep you informed and excited. A whole house remodel is very challenging, there are LOTS of decisions, and you need a well though-out plan to avoid too many “extra charges”. In the end, you will have a home that fits your specific family’s lifestyle. WHY CHOOSE ROESER HOME REMODELING?